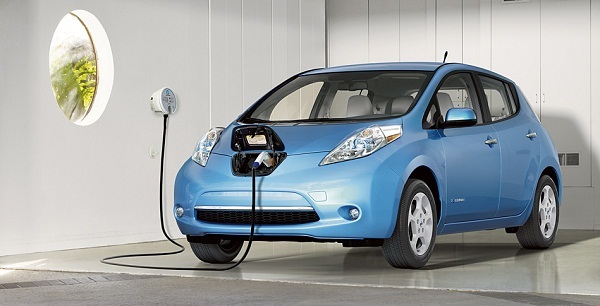 There is a way to fuel up this cheaply, of course: drive on electricity. It’s fairly common knowledge that electric vehicles are cheaper to operate than their internal combustion counterparts, but the disparity widens even further if utilities provide sensible incentives for off-peak charging at home. Charged EVs reported the results of a study by the Northeast Group that found 25 utilities in 14 states that offer special discounted electricity rates for owners of electric vehicles. They provide what are known as EV tariffs, or particular type of time-of-use rates that are tailored for EV owners that charge their vehicles at night during off-peak hours when demand is low and the grid typically has excess generating capacity. Of these 25 utility companies in question, 8 are among the largest 15 in the United States. They collectively provide EV tariffs for over 21 million customers. In the 14 states represented by the utilities in the study, the average price of gasoline is $3.70. The average price of off-peak electricity equivalent to a gallon of gasoline in those same states? $0.75. That makes gasoline nearly five times more expensive than electricity to fuel your vehicle in these states. And for those curious, here is an interesting take from CleanTechnica on cost to fuel gasoline vehicles vs. electric vehicles in various countries with several specific examples. It’s worth checking out. Time-of-use rates, specifically discount rates for off-peak residential charging of electric vehicles, makes sense for the consumer and the utility. This is one of the reasons why Minnesota has become the first state to mandate lower off-peak rates for EV charging. Utilities generally pay higher rates for electricity during peak hours, so transferring electric vehicle charging loads from peak to off-peak saves the utility companies money as well as the EV owners. This means utilities that spread their costs among all customers could effectively lower everyone’s electricity bill with the implementation of EV tariffs. The utility companies benefit as well from increased use of electricity, of course – any initiative such as EV tariffs that drives electric vehicle sales is good for utilities, as households with electric vehicles inevitably consume more electricity than those without. Encouraging off-peak charging with discounted EV rates also alleviates the (misguided) concern that electric vehicles will overload the grid. This certainly won’t be close to happening anytime soon, but if all EVs are charged late at night it may never become a problem even if cars powered by electricity take over the auto industry. For those who already own or are considering an electric vehicle, here are two excellent resources from the Department of Energy and plugincars.com that bring clarity to fueling costs, time-of-use rates and the different factors affecting what you will pay for electricity. Thanks for the informative read Luke. I look forward to the day when solar, wind, hydro and methane gas sourced generation comprises a majority of utility supplied electricity. Then, EV will be the only viable, sustainable mode of personal transportation.